At eighty, Einar Gilkyson has lost his share of loved ones, but still finds his house full. His granddaughter, Griff, has dropped out of college to look after him, and his long-absent sister has returned home from Chicago. 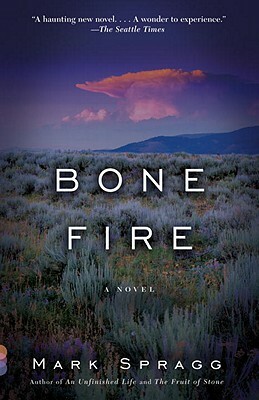 But Ishawooa, Wyoming is far from bucolic, and troubles begin to boil when the sheriff finds a man murdered in a meth lab. In this gripping story from the author of An Unfinished Life, harsh truths and difficult consolation come alongside moments of hilarity, surprise and beauty. Mark Spragg is the author of Where Rivers Change Direction, a memoir that won the Mountains and Plains Booksellers Award, and the novels The Fruit of Stone and An Unfinished Life, which was chosen by the Rocky Mountain News as the Best Book of 2004. All three were top-ten Book Sense selections and have been translated into fifteen languages. He lives with his wife, Virginia, in Wyoming.